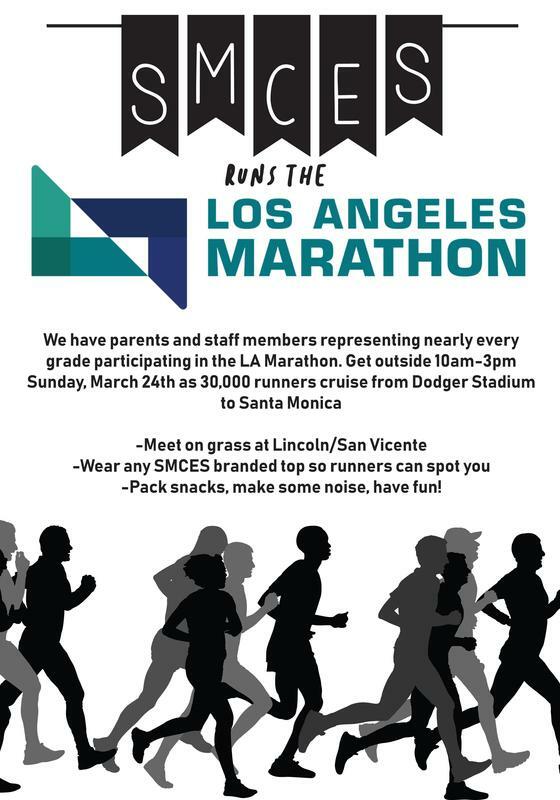 The Los Angeles Marathon is happening on Sunday, March 24th and SMCES has several parents and staff running the 26 miles. Meet on the grass at Lincoln and San Vincente between 10 am and 3 pm. Wear your SMCES gear so the runners can see you. Come on out and support our runners.